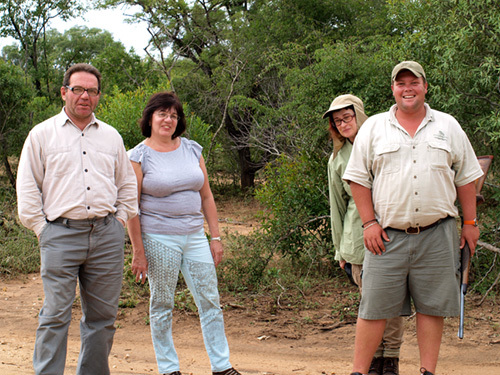 Going on an African safari by yourself or in a small group is not advisable. Suppose, you are standing in front of a lion or a rhinoceros and trying to calculate your chances of getting out of this situation in one piece and hopefully not perforated in too many places. You are staring at the whatever it is that is going to do a very bad thing to you and all that is going through your mind is “o sh….t”. But look at the situation from the lion’s point of view. It has to charge you, yes you. Who else is there to eat? You are the protein! 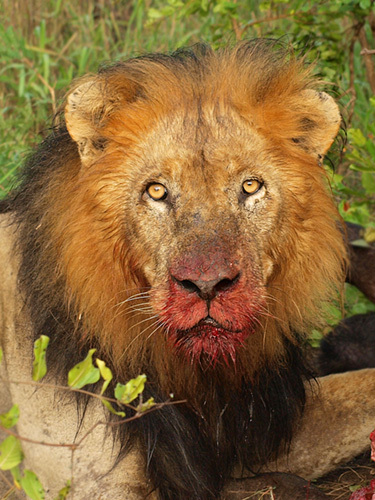 However, you chances of not becoming the next lion’s meal improve drastically if you are in a large group of preferably slow moving Eco tourists. Simple math tells you that one out of, for example ten, is a much smaller chance of the bad thing happening to you than one out of one. As a bonus, there is actually a better chance of scaring some predators away if you are in a bigger and very loud group, typically American. Though, I will tell you that the French are probably even better at scaring wildlife away with their loud and incomprehensible speech. I still don’t understand how they missed the opportunity to become part of Great Britain during the 100 years war. Can you imagine how much easier the life of an average French man, woman and child would be if they spoke English that everybody understands, instead of French that nobody does? Well, but enough of that. The good news is loud noise might work with a lion. The bad news is, it won’t with a rhinoceros or a buffalo. So, always go with a group of friends. Remember, strength is in the numbers! 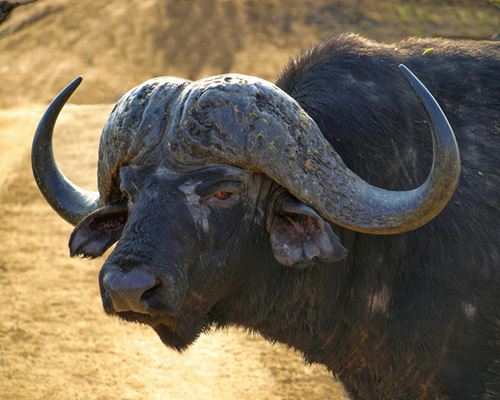 Known as “Black death” African Buffalo is one of the most dangerous adversaries. 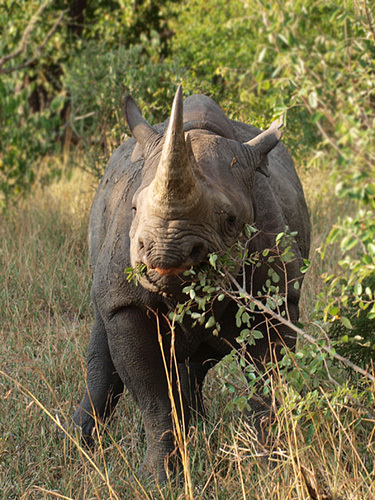 Though, I would never say it openly to his face, a male rhino’s IQ is rather low. But if you weigh a thousand pounds, have a horn that can skewer almost anything and anybody, and can gallop up to 35 miles per hour, who is going to ask you about your IQ score? I will tell you who, only a person with very low IQ! This entry was posted in Africa, Safari and tagged Africa, African, safari, tip, tips, travel. Bookmark the permalink. Man, that is pretty raw. When we took a safari, we got to see some animals, the big five, but none of them feeding or birthing or anything truly raw. Would have been cool to see them hunt or feast.